The key to the hands-on experience is the specially designed Selective Soldering test vehicle: the SSA Challenge Board—a multi-layer board that emulates many of the most difficult challenges typically seen in today’s selective soldering environment. 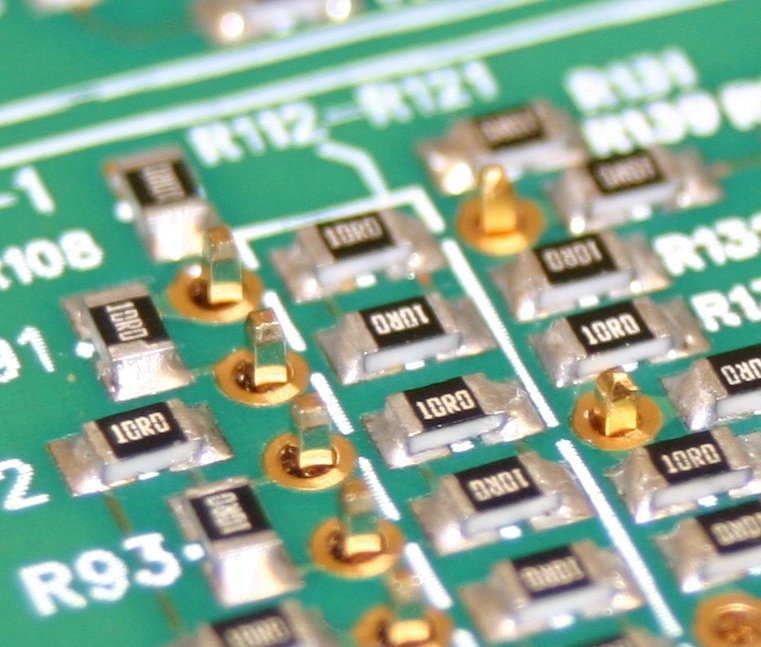 Contributions from a variety companies and industry professionals were incorporated into the board’s design to ensure that it simulates both common and unique challenges specific to selective soldering. Fine Pitch parts: These sections utilizes varying hole sizes, metal-to-metal spacing, annular ring sizes, lead lengths and staggered pins to teach how to manipulate the basic techniques to eliminate bridging. 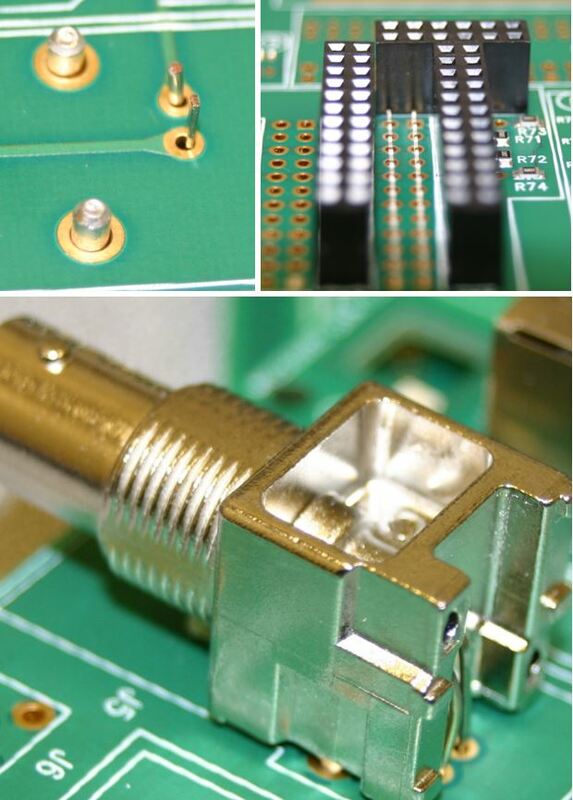 Tall and/or close SMT Parts: A variety of sections have SMT parts at different heights and proximity to leads being soldered to teach the proper flow control, parameter settings and the proper use of nozzle features to successfully solder in these tight areas without sacrificing speed in more open areas. 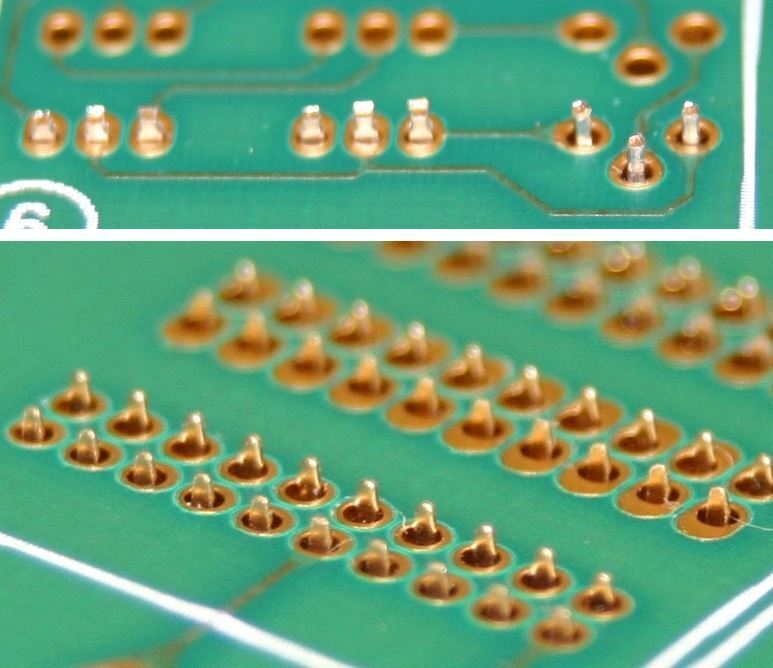 A number of other conditions throughout the board provide a variety of challenges, such as, heavily grounded multilayer conditions, known hard-to-solder components, tight lead-to-hole ratios; and tall and close bottom-side components that leave very tight soldering situations.